Wikimedia Commons has media related to Heads of state of France. Pages in category "Kings of France"
From the 1340s to the 19th century, excluding two brief intervals in the 1360s and the 1420s, the kings and queens of England also claimed the throne of France. 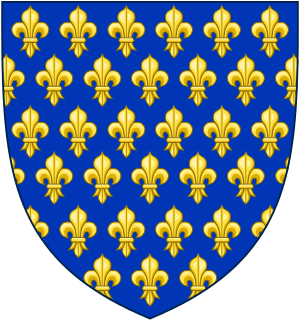 The claim dates from Edward III, who claimed the French throne in 1340 as the sororal nephew of the last direct Capetian, Charles IV. 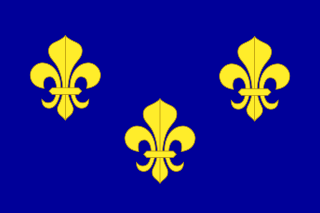 Edward and his heirs fought the Hundred Years' War to enforce this claim, and were briefly successful in the 1420s under Henry V and Henry VI, but the House of Valois, a cadet branch of the Capetian dynasty, was ultimately victorious and retained control of France. 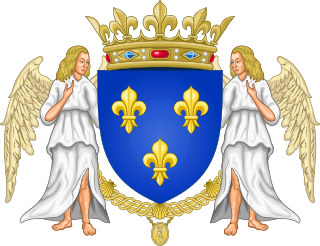 Despite this, English and British monarchs continued to prominently call themselves kings of France, and the French fleur-de-lis was included in the royal arms. 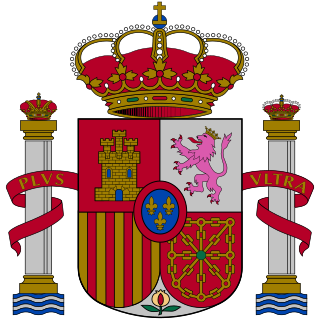 This continued until 1801, by which time France no longer had any monarch, having become a republic. The Jacobite claimants, however, did not explicitly relinquish the claim. 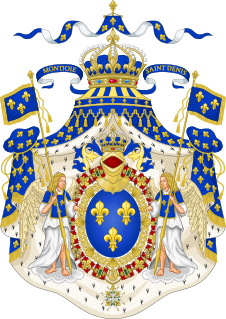 The following is a list of the heirs to the throne of the Kingdom of France, that is, those who were legally next in line to assume the throne upon the death of the King.